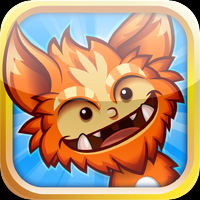 Monster Legacy This game is only available on the mobile platforms above. BATTLE COLLECT and EVOLVE AWESOME MONSTERS Conquer evil and create your own legacy Explore treacherous dungeons and solve testing puzzles in extraordinary locations filled with endless challenges! All games and trademarks are copyright their respective owners. Contact Us if you feel Monster Legacy has been used without proper permission.